Fall is coming and Weathermaker Music has prepared 3 very special Clutch limited edition vinyl collector picture discs. The 1st in the series of 3, “Live At The Googolplex” will be available this upcoming Friday, Oct. 6th. Recorded in 2002 in Chicago, Montreal, Kansas City, and Columbus, OH, LATG like all 3 releases in the series will be the first time these releases will be available as a picture disc vinyl. The next 2 releases in the series of vinyl picture disc releases will be “Jam Room” (10/27/17) and “Pitchfork & Lost Needles” (11/24/17). Stay tuned for more details on the series. 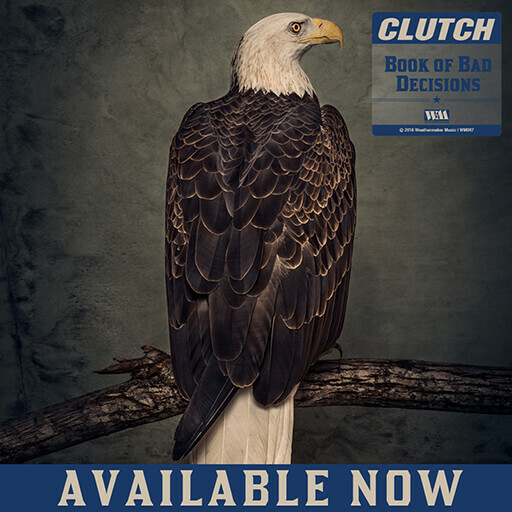 LATG and all 3 in the series will be available at all major vinyl outlets and is available to pre-order now at https://www.indiemerchstore.com/b/clutch.